Hi, I was wondering if these two birds could be ID'd. From today on Long Island, NY. Thanks again! 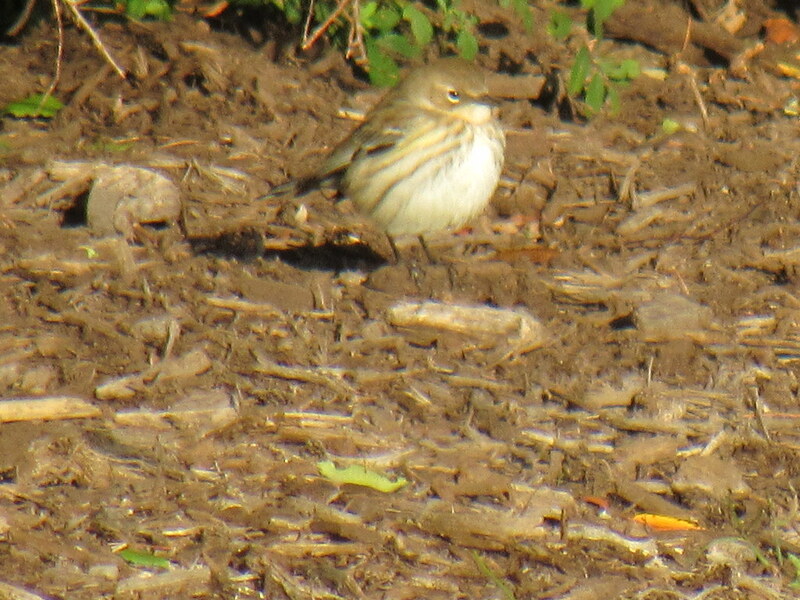 Edit - Is the top bird maybe a Yellow-rumped Warbler? Yep, looks like a Yellow-rumped to me. 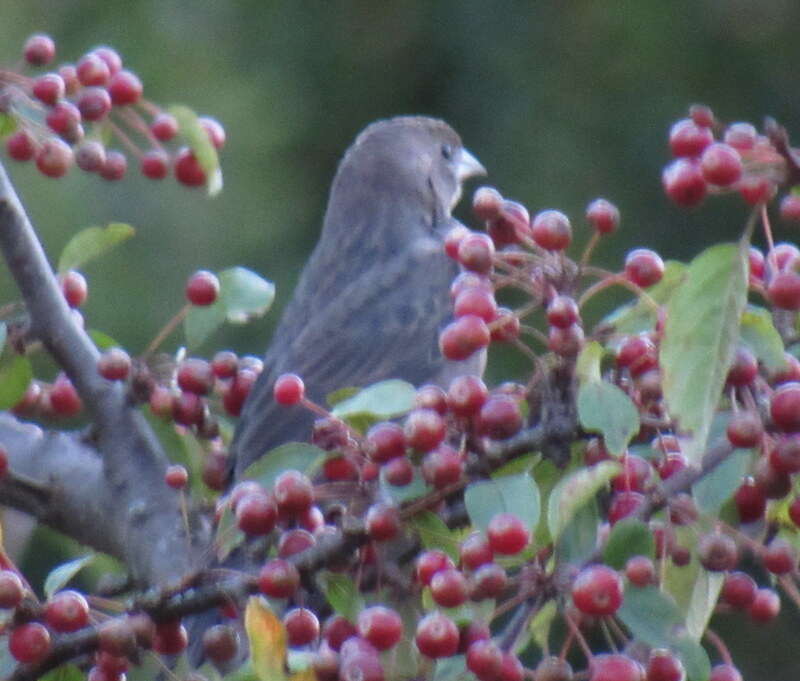 The second might be a House Finch. Kind of a tough pic on my phone. I'm having a hard time seeing the second bird as a House Finch. 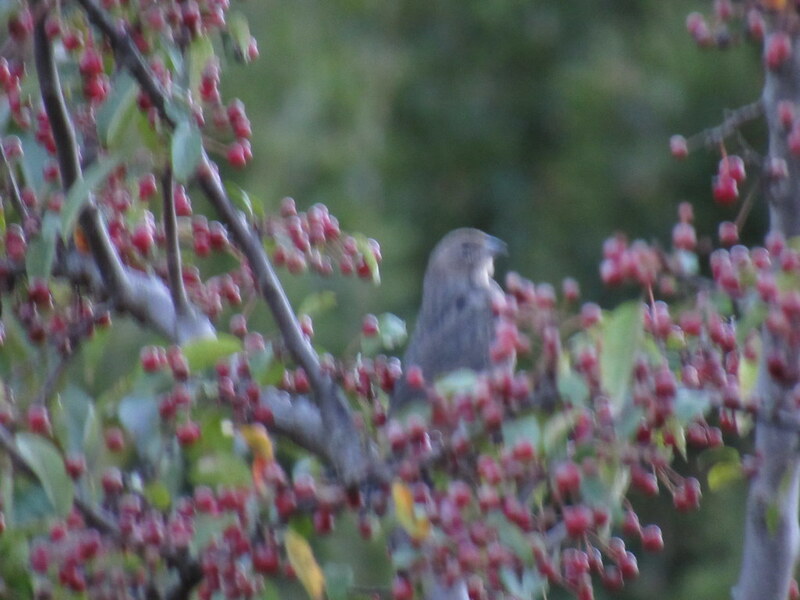 I'm thinking Brown-headed Cowbird because of the white throat, pointier beak, and solid brown head. 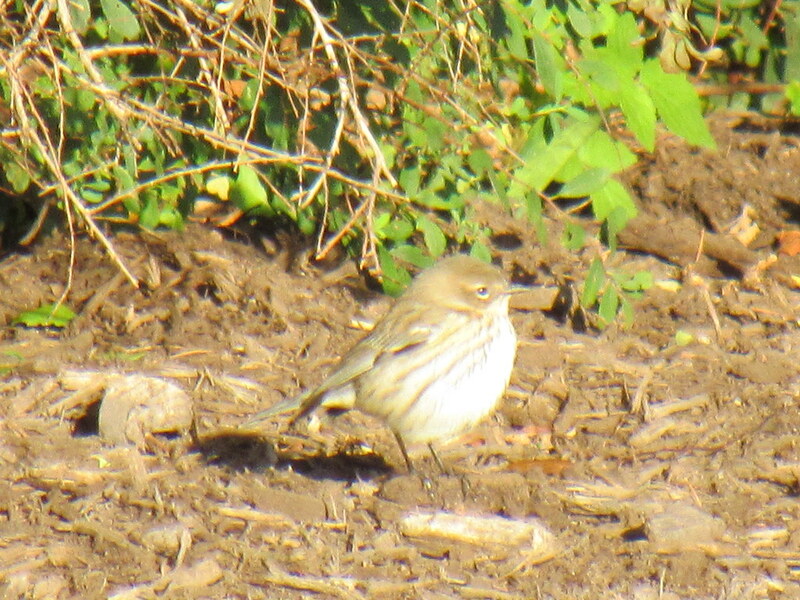 Yah, cowbird looks good to me too, now that you say it. 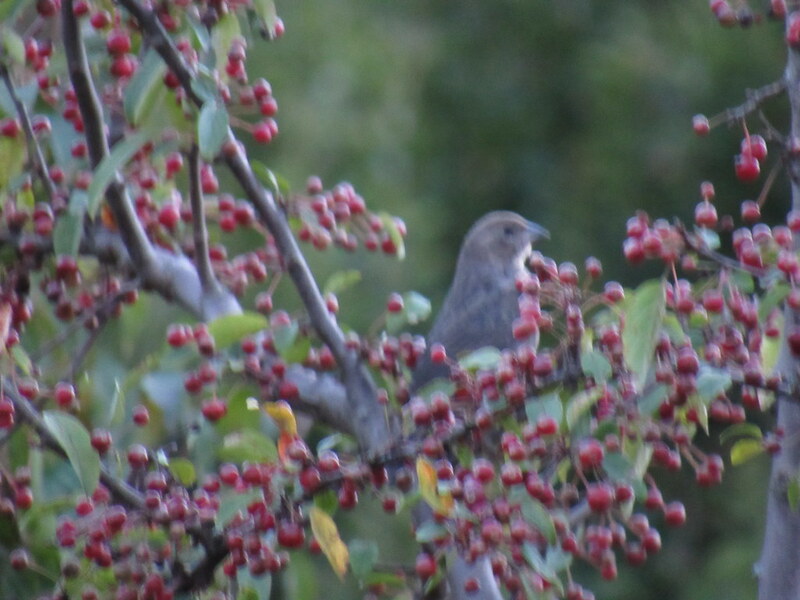 Agree with Yellow-rumped Warbler and Brown-headed Cowbird.